USAF lifer. Retired as E8 in 1995. 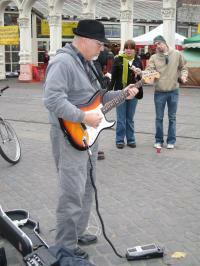 Blues player & singer, top notch husband, father, friend. Clean and sober and a follower of Jesus to the best of my ability.